One of my jobs is that I am the administrator of a counseling center in the Philippines. My wife is a chaplain and we teach pastoral care/pastoral counseling. We teach that one does not proselytize in counseling. Or at least if one does proselytize… it is done by permission or request from the person… and never at the beginning of the conversation. There are good reasons for this. In many settings, our ability to serve (such as in a hospital, jail, or evacuation center) is dependent on abiding by set policies. Such policies may include no “cold call” evangelizing. In times of crisis, encouraging a person to make a major life change can be detrimental (destabilizing an already unstable psychosocial situation). And any positive response (such as saying the sinner’s prayer) is likely to not be a heartfelt response since it was offered at a time of mental chaos. It may be interpreted by the client/counselee that the motive of the counseling is not to help but to rack up another score for one’s church. There are other reasons… but this is a good, if short, list. Being unregenerate they are unable to make meaningful change without the Holy Spirit indwelling them. Our call is to share the Gospel. Anything else we do, with regards to the world, is a distraction. As an Evangelical Christian, from a revivalist tradition, I find these arguments to be relatively strong and logical. Yet, it is not our tradition that should guide us, but God’s Word. The example of Christ makes it clear that we are to always demonstrate God’s love and message in both word and deed. With Christ, however, God’s love is often demonstrated before the presentation of God’s message of redemption. Further, it seems doubtful, at best, that Jesus limited the rest of his teaching/counsel only to individuals who responded to His message to follow Him. Jesus’ ministry should challenge the view that evangelism must always be the priority in all counseling encounters with non-Christians. But there is still room for differences of opinion. A difficulty is that there are few examples of long-term counseling between a believer and a non-believer in the Bible. Thankfully, we do have at least one good example. That is Daniel. Daniel served as a counselor to the rulers of Babylon and Medo-Persia. These were all pagan rulers. There is pretty good parallelism to the situation of many Christian counselors… especially chaplains. Daniel was a follower of the one true God serving as a counselor to unbelievers. Daniel’s role was, in part, because of his spiritual role (he was chosen not simply for being wise, but seen as having access to a god). Additionally, Daniel was under the obligation of the Abrahamic covenant to be a blessing to all nations. As such, a call to repent and turn to God (Yahweh) was certainly a critical (if not THE critical) activity. But didn’t Daniel share his faith? Absolutely. There is ample evidence of that in the Book of Daniel. But was that all he offered? Nebuchadnezzar appears to have become a follower of God at the end of his life… but for most of the time of the interaction between Daniel and himself, he was not a believer. As far as we know Belteshazzar, Darius, and Cyrus never got further than a pagan’s respect for the god of Judah. It seems quite evident that Daniel did not see his role as a counselor as wasted in guiding pagan rulers. We know that God’s message to these rulers through Daniel was not limited to proselytization. Even for the conversations that are not recorded in the book of Daniel, one cannot assume that Daniel would have maintained his role as a counselor for many decades if the only real counseling he gave was a call for the rulers to become Jewish proselytes. I am not downplaying evangelization or proselytization. I am simply questioning the presumption that our role with unbelievers is meaningless unless it starts with classic evangelism and is to be limited to classic evangelism (up until conversion at least). It seems to me that Daniel does provide a balanced approach. He lived a life of integrity and godly witness even in a potentially hostile environment. Served faithfully, seeking to meet felt needs of his counselees, while not blind to their actual needs. Did not feel limited in sharing the message God had for his counselees… regardless of its nature. I think of this part as a bit more straightforward. Cultural Anthropology is important in contextual theology. Consider the above image. The Bible comes to us as divine revelation that is embedded in certain source cultures (Ancient Jewish and Hellenstic-Roman particularly). If we accept that the canon of Scripture is closed, and identify that the ancient cultures are dead– no longer existing today, we can say that the Bible from this aspect is STATIC. However, the Bible also exists as translated word within different cultures… particularly the faith communities in these cultures. Since living cultures are DYNAMIC, the Bible in this sense is DYNAMIC, not static. 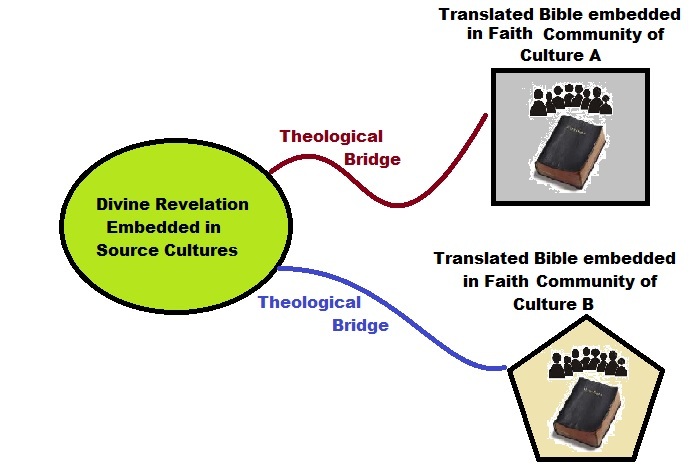 Linking the dynamic community of faith with static divine revelation is a theological or contextual bridge (all of this can be described as “Correlation.”). Since cultures are dynamic that means that theology (at least effective theology) is DYNAMIC… changing.. So how does cultural anthropology impact this very fluid situation? 1. In Biblical Theology. Understanding the Bible, divine revelation embedded in source cultures, requires deep understanding of the source cultures. This is necessary to interpret the meaning of the Bible. Understanding such dead cultures utilizes archaeology (a subfield of anthropology) and cultural anthropology… among other tools. 2. In Translation. To translate from one language to another requires linguistics… one of the traditional subfields of anthropology. But solid translation also deals with culture. The Bible must be culturally accessible and relevant to be translated well. It needs to relate to and impact the culture it is embedded in, utilizing recognizable symbols. The tools of cultural anthropology are greatly beneficial here. 3. In Theological Contextualization. A community of faith in a culture can be indigenized (locally accessible and challenging) or it can be foreign and unfamiliar… irrelevant. The message of God needs not only to be translated well, but must be tied to a community of faith with symbols of the local culture. The community must be self-theologizing… dynamically contextualizing God’s message and character to the culture. While this may be a local activity, it may benefit from both an emic (insider) understanding and an etic (outsider) understanding. Since the key character of cultural anthropology methodology is “Participant-Observer,” bridging the gap between emic and etic, there is much that cultural anthropology can offer in contextualized theology. 4. All Theology. We sometimes act like there is real, unchanging, systematic theology and little locally contextualized theologies. But since the source cultures of the Bible are dead, God’s message is always translated and interpreted culturally. All active theologies are contextual. Some do a good job of this… while some do a bad job. Some do contextualization explicitly… while some do it implicitly (often not knowing they do it… a bad thing). Since all theology (even more so… all GOOD theology) is contextual, cultural anthropology always has something to say in the activity of theology. Arguably, this is a bit high-end viewing. the exact methodologies from cultural anthropology are not directly brought out here. That must be for another day. However, I would like to think that these three posts demonstrate the intimate link between cultural anthropology and theology. Such a link should not be disregarded. Theology and Anthropology, Part 2. The previous post, quoted Hans Frei. This post expands the idea. 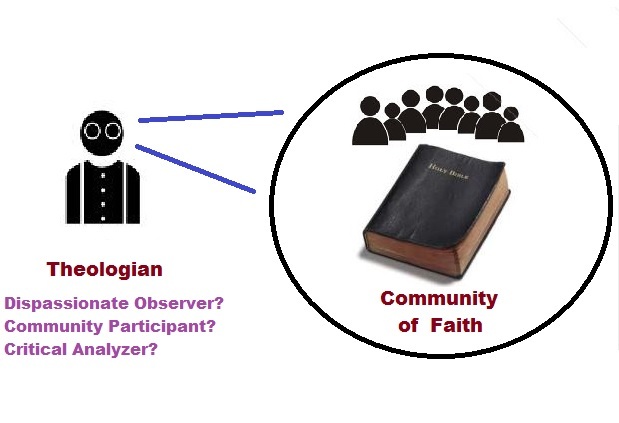 Previously it was noted that a theologian working with a sacred text (particularly, in our case, the Holy Bible) must recognize that it is part of the community of faith, providing guidance and meaning for that community, and given its status by that same community. As such it is integrated into a religious culture. Based on that role in culture, the theologian must think as a cultural anthropologist, understanding the text as the text of a faith community first. Historical criticism may have its place, but as a tool is limited by its own assumptions and methodology. Now we can move forward. The hermeneutics of suspicion has a statement that may be explicit, but is more likely implicit. It is something like this: “The people say they do _______________ because of ___________________. But the real reason they do it is ______________________.” I was always taught that this was simply BAD Anthropology. Cultures with this hermeneutic are filtered through a presumptive model. There are many different ones. Well known analysis filters are Marxist, Psychoanalytic, or Evolutionary models of behavior.There are many many more. The hermeneutic of description does not focus on “the real reason” but understands behavior in terms of collective perception of the culture analyzed. The goal is to understand the culture on its own terms… understanding how the community sees its own behavior. 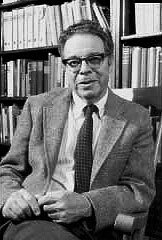 For example, In historical Christianity it is common to call community members “brother” and “sister.” If asked, most Christians would probably identify with the symbol of “church as family.” A few might point to the “Fatherhood of God” and their collective status as “joint heirs with Christ” A Freudian model may come up with a very different “real meaning” behind familial terms (I have no idea… haven’t asked.) Hermeneutics of description (induction without presumption) would, to me, describe GOOD anthropology. An interesting example of the difference between a hermeneutics of suspicion and description is in the area of LAWNS. Why do we have lawns around our houses? I read a theory proposed that we have lawns around our houses because of our evolutionary history. Our primitive ancestors were scampering around the savannahs of Africa and that racial memory leads us to desire lawns around our house. That is hermeneutic of suspicion. To me it has a Procrustean feel to it. However, a hermeneutic of description leads to a different view. Consider three different cultural settings I have visited. 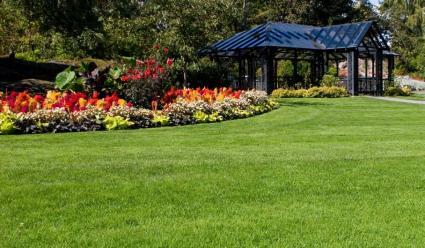 Culture 1 is in Buffalo, NY when a homeowner some years ago was told that he could not let his yard stay unmanicured. Culture 2 is in a Georgia swamp where an old home there had the area around it immaculately swept sand. Culture 3 is in Pampanga, Philippines where my wife’s grandmother every day ensured that the area around the house was hard-packed clay devoid of any plants or mess. The interesting thing is that the reason given by each of these cultures for the ideal of relative barrenness around the different houses was the same “Keep away the vermin.” From a hermeneutic of description, pulling in an evolutionary “real reason” is not considered helpful. But I am tempted to go further. In this case, not only is the “Savannah Theory” not viewed as helpful, it does not even appear to be correct. Many cultures don’t have lawns… and even the three cultures listed above don’t look like each other and none of them look like the African savannah. Summarizing this first post, cultural anthropology helps us understand the Bible within the context of the practicing community of faith. While historical analysis has value, the presumptions of historical analysis often war with religious dogma. As such, historical analysis tends to work from a hermeneutic of suspicion. What is needed is description… understanding the Bible, first of all, from the collective perception of the community for which it is sacred or central to their conduct and understanding. The third post will look at context and correlation as it connects to theology and anthropology. Theology means Study of God (at least etymologically). Anthropology means Study of Man (again, etymologically). I would like to suggest that Theology has cultural anthropology as a powerful tool (perhaps most powerful tool from the human sciences) in its development from revelation and context. The material here is a bit heavy (for me at least) but I think it suggests a healthy move away from over-reliance on historical or philosophical analysis. 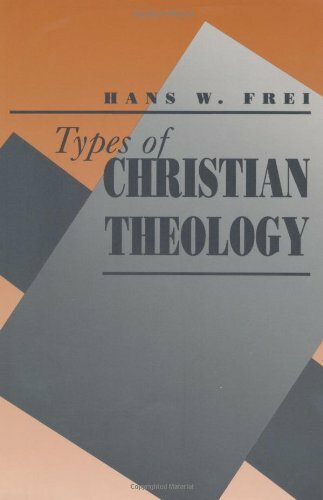 –“Types of Chrisian Theology” by Hans W. Frei. Yale University Press, 1992. pgs 11-12. Again… a bit heavy, perhaps, but let’s consider what I believe is being said. Theology is tied to sacred text and to a faith community. To develop theology requires understanding of the faith community and the understanding of the sacred text as it exists in the faith community. Christianity is a religion… an area of study of cultural (social) anthropology. A faith community is a culture and as such is understood anthropologically. A sacred text provides meaning to a religious community and has meaning bestowed on the text by that same community. As such, understanding the text is, in part, a cultural anthropological activity. Often theology is seen as being assisted more by historical analysis (or philosophical/critical analysis) rather than cultural analysis. Historians like to look at a text as source material for analysis. However, understanding a text in terms utilizing the tools of the historian is fraught with problems when it comes to sacred text… such as the Bible. The problem is that historical analysis is built on presumptions that is problematic in most religions… including Christianity. Historical analysis seeks to find meaning in past data based on the presumption of natural (and local) progression and causation. This seems fairly reasonable. But what happens when it comes to sacred texts. Consider the question of the historicity of the resurrection of Christ. Historical analysis starts from the assumption of natural occurrences and so it is ill-equipped to deal with the miraculous (unless of course the proper response is rejection). Likewise, the Bible points to an eschatological history— God working in and through history with a long-range active plan. This implies a plot to history… placing itself more in the area of literature than history. History books have authors, but the assumption of these same books is that history itself has no author. Additionally, and for similar reasons, historical analysis cannot deal with predictive prophecy, except to reject any such predictions beyond educated hunches. If this is not obvious, consider the following: Suppose you were writing a history of the stone images on Easter Island. Suppose you did a lot of research and finally turn in your findings for peer review. Your findings were that in approximately 1325AD, a miracle happened and all of the statues suddenly appeared on the island. <NOTE: I am making no such claim… just making up an example.> Such a viewpoint would never make it through peer review. It might make it onto the Internet or “Ancient Aliens” on television. But for historical analysis, there is a presumption that events connect through natural and local causation. One cannot deny the (highly unlikely) possibility that something amazing MIGHT have happened and the statues suddenly appeared around 1325AD. Rather, such an unlikely possibility is not considered in historical analysis. Therefore, theology grounded on historical analysis will inevitably be pulled into a naturalistic worldview. This is, of course, not to say that understanding sacred text is not potentially aided by historical analysis. This is particularly true of the Bible. The Bible was written in history, and, in fact, over a considerable period of time historically. This is unlike the view of adherents to the Quran who believe that it existed and exists ahistorically. The Bible writes about identifiable historical events over a wide range of history. This is unlike the Book of Mormon that, although written in a historical style, does not appear to link to identifiable “real” history. The Bible emphasizes the relevance of history in its message. This is unlike much of the Hindu sacred texts in which history is not really seen as relevant to the message. So historical analysis is an important tool, but not as important as the tool of cultural anthropology. The next post will continue the thought from Frei. The third post will look at the role of context in theology and its relationship to cultural anthropology. Proclaim God. Don’t Prove Him. 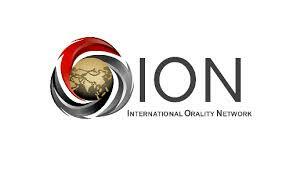 The university where I teach, Houston Baptist University, is hosting a consultation this week for the International Orality Network. I will be attending the consultation and learning all I can regarding this new and important missions emphasis that recognizes that most of the world consists of people who are oral preference learners. What excites me about the movement is that they focus on sharing the gospel by learning to tell great stories from the Bible in the mother language of the unreached people. This is exactly what we hoped to do with The Voice Bible. Part 1 of this overall topic I suggested options regarding the translatability of the Bible. I suggested that the Bible is translatable, meaning that the Bible translated is still the Bible. Part 2 suggests the ramifications of saying that the Bible is translatable. It is a challenging viewpoint. Abd al-Jabbar in 995 AD (reference “Translating the Message” by Lamin Sanneh) wrote considerably on (against) Christians and the “Hellenization” of the teachings of Jesus. Of course I would argue that the primary underlying purpose of Al-Jabbar’s book is to deal with the fairly obvious issue that Mohammed’s interpretation of Jesus is considerably different from the Apostle’s interpretation. Al-Jabbar argued strenuously that the problem was that Jesus was “Hellenized”— translated into Greco-Roman culture while the Quran portrays a Semitic (although not Jewish) culture. Much of the rest of al-Jabbar’s arguments appear to draw more from his personal aesthetics than logic. In other words, al-Jabbar liked the idea that God’s revelation is not, or at least should not be, translatable. If one does not share such a preference, the arguments become weaker. Since al-Jabbar had been enculturated into a language and culture quite similar to that of the original writing down of the Quran, his aesthetic preference is quite understanable… but would apply to essentially no one in the 21st century. The Bible, in my mind at least, argues strongly for God’s message being translatable. 1. Pentecost. It is sad that many miss fairly obvious point of Pentecost. Some like to take the “speaking in other languages” and ascribe it to ecstatics (in part a problem of sloppy application of 1611 lingo). In Acts 2, languages were languages and it is wonderful that this was true. How did the church start? The Holy Spirit came and filled the 120 initiating the church age. The defining character of the Pentecost was that the message of God was given to Jesus’ disciples translated into the languages (and cultures) of the different groups who were present. The defining characteristic of the church from the start is that God’s words are God’s Words regardless of language or culture. 2. The Gospels. Jesus spoke mostly, if not completely, in Aramaic. However, all four Gospels were written in Koine Greek– the lingua franca of the common people. Church tradition says that the Gospel of Matthew was originially written in Hebrew and then later translated. There would be nothing wrong if that was true, but it seems doubtful. If one assumes that the traditional authors ascribed for each Gospel is correct, Matthew was a Galilean Jew who decided to translate the story of Jesus into common Greek.. Mark was a Hellenistic Jew who took the recollections of Peter, a Galilean Jew, and decided to translate the story of Jesus into common Greek. Luke may have been Greek, but still took the eye witness accounts of Jesus life and words and translated them into common Greek. John was another Galilean Jew who decided to translate the story of Jesus into common Greek. In other words, it is not the case that Jesus’ message and story was taken over by the Greeks. Rather, the followers of Christ, the ones who were to carry the message of Christ to the world, made a conscious choice to translate the message of Jesus into the common language of most of the known world. 3. Multi-cultural Bible. The Bible was written over many centuries (some suggest 1500 years… some less). 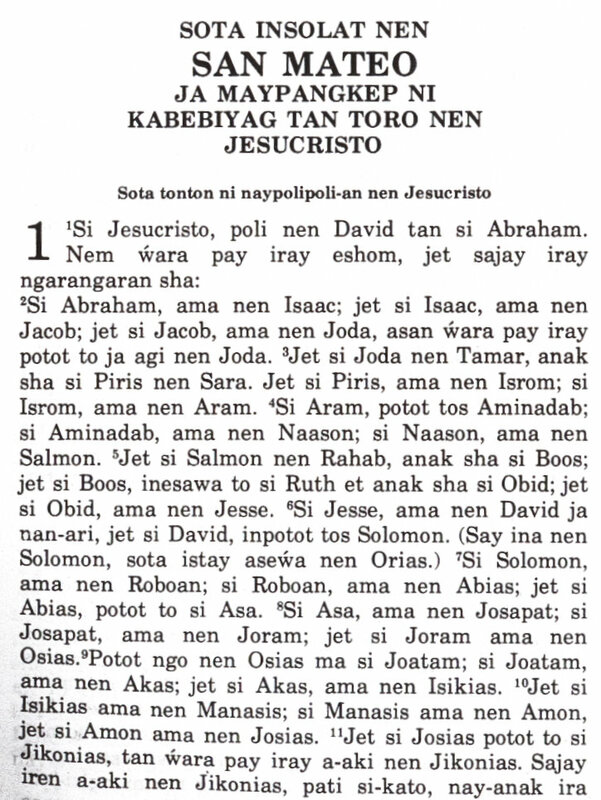 During that time three languages were used: Hebrew, Aramaic, and Greek. And language even changed during that time. Even more, there were numerous cultures over all of that time (from Pre-exile, to exile, to post-exile, to Roman era Judea, to Roman era Gentile regions). At the very least, this fact rejects the idea of a sacred culture or a sacred language. 4. Jerusalem Council. Acts 15 speaks of the council regarding contextualization, or cultural translation. Can a Christian be culturally Greek and be a Christian, or must he (or she) become culturually Jewish. The council decided that based on the works of the Holy Spirit with the Samaritans, Cornelius and family, and in Antioch and Asia Minor, God accepted Gentiles as followers of Christ without taking on Jewish culture. It would be hard to make the argument that cultural translation is blessed by God while believing that language translation is not. This is not to say that there are not risks of cultural distortion. I would argue that the doctrine of the Impassibilty of God has more to do with Greek ideals (and reimforced by Islamicist ideals) than what the Bible actually describes. Present American Christian culture seems, in my mind at least, to see Jesus as a White upper-middle class Republican. We have to be careful of cultural distortion… but such distortion doesn’t negate the value of translation. 5. Babel Narrative. In Genesis is the story of God confusing the languages. As Evangelicals, we would take this story as historical. Some read the story as a punishment. However, that doesn’t seem to be the big issue. The people were supposed to multiply and spread all over the earth. They refused so God gave them different languages so that they would naturally separate based on different languages, than became the basis, presumably, for language families. But note that language diversity happens naturally when groups are isolated. If they obeyed God and spread out naturally, their languages would have diverged from each other. They refused so God divided their languages and then they spread out. Either way, it was God’s desire for language and cultural diversity. 6. Revelation 7:9 speaks of the ideal setting of worship— around the throne of God. It is a balancing of unity and diversity. United in the act of worship and the object of worship. They were also united in message, clothing, and at least one aspect of action (waving palm branches). Here however, is where the unity stops. In terms of diversity, the crowd is composed of all nations (ethnic groups), tribes (‘phylon’), peoples, and languages. The last one, languages, could simply point to the diversity. But it also could point out that all different languages are included in the worship. I don’t know, but drawing from the Pentecost event, I would like to see it as evidence of language diversity, not simply diversity of people. I will stop here. The impact of translation on people’s lives around the world could argue in favor of the translatability of the Bible. One could also point out that cultures often appear to open people up to the gospel rather than inhibit it. But I will leave that for others to consider. Ultimately, The Bible is translatable and still be the Bible. That is a good thing for us since the languages and cultures of the Bible are gone.